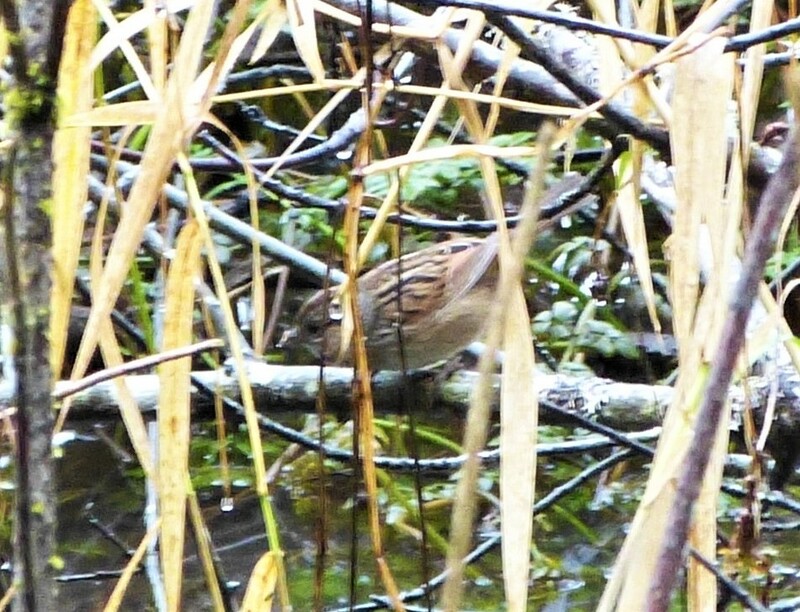 Eighteen participants counted 16,433 birds of 114 species in the third edition of the Reedsport Christmas Bird Count. The first two counts each had 22 observers and found 16,349 birds of 133 species and 8,249 birds of 116 species, respectively. This was the first year we were able to count the Umpqua Estuary sector, thanks to John Schaefer with the Confederated Tribes of the Coos, Lower Umpqua, and Siuslaw Indians. Unfortunately, we also were unable to cover the Scholfield Creek sector this year. Weather was not too cold or rainy, but late afternoon showers closed things down early for some. Tables of species detected this year are sorted and linked here: by taxonomy, by total number of each species, and by number of team areas recording each species. Click here for a map of the team areas and here for additional information on Douglas County CBCs. Firsts for the count included: 8 TUNDRA SWAN, 2 WOOD DUCK, 2 EURASIAN WIGEON, 2 LONG-TAILED DUCK, 5 CALIFORNIA QUAIL, 1 SOOTY SHEARWATER, 60 LEAST SANDPIPER, and 2 RING-BILLED GULL. Although maximum and minimum numbers are not very significant for a count of only three years, I report them here anyway to document the progress of this CBC. Previously recorded species with maxima this year included: 5 NORTHERN SHOVELER, 608 NORTHERN PINTAIL, 110 GREEN-WINGED TEAL, 3218 BUFFLEHEAD, 57 HOODED MERGANSER, 123 COMMON MERGANSER, 43 RED-BREASTED MERGANSER, 3 EARED GREBE, 189 WESTERN GREBE, 1 (tied) CLARK’S GREBE, 45 GREAT BLUE HERON, 66 SNOWY PLOVER***, 22 KILLDEER, 1634 SANDERLING, 560 DUNLIN, 385 MEW GULL, 37 CALIFORNIA GULL, 7 THAYER’S GULL, 7 MOURNING DOVE, 14 DOWNY WOODPECKER, 273 AMERICAN CROW, 9 TREE SWALLOW, 80 BUSHTIT, 25 RED-BREASTED NUTHATCH, 35 BREWER’S BLACKBIRD, 366 RED CROSSBILL, 546 PINE SISKIN. 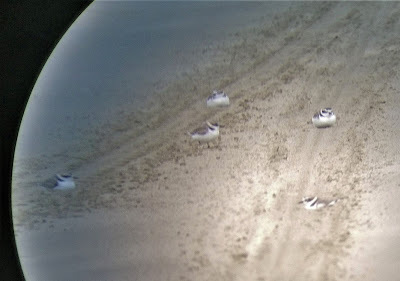 ***The Snowy Plover record is a new state record. Twenty-six (26) were on the North Spit, and 40 were about a half-mile north of the mouth of Tahkenitch Creek. The previous state record of 43 was set by the Reedsport CBC on December 30, 2015! Count lows included: 73 GREEN-WINGED TEAL, 260 RING-NECKED DUCK, 10 GREATER SCAUP, 6 RED-THROATED LOON, 1 PACIFIC LOON, 45 PIED-BILLED GREBE, 6 RED-NECKED GREBE, 118 DOUBLE-CRESTED CORMORANT, 16 PELAGIC CORMORANT, 3 NORTHERN HARRIER, 1 SORA, 4 HERRING GULL, 15 GLAUCOUS-WINGED GULL, 25 OLYMPIC GULL, 29 ROCK PIGEON, 17 ANNA’S HUMMINGBIRD, 19 BELTED KINGFISHER, 2 RED-BREASTED SAPSUCKER, 2 PILEATED WOODPECKER, 1 PEREGRINE FALCON, 19 BLACK PHOEBE, 1 HUTTON’S VIREO, 61 STELLER’S JAY, 29 COMMON RAVEN, 31 BLACK-CAPPED CHICKADEE, 31 PACIFIC WREN, 22 MARSH WREN, 109 GOLDEN-CROWNED KINGLET, 83 RUBY-CROWNED KINGLET, 36 WRENTIT, 36 HERMIT THRUSH, 153 AMERICAN ROBIN, 2 AMERICAN PIPIT, 1 WHITE-THROATED SPARROW, 242 SONG SPARROW, 14 LINCOLN’S SPARROW, 110 RED-WINGED BLACKBIRD, 8 HOUSE FINCH, 10 HOUSE SPARROW. Species missed that were recorded on both the previous two counts included: AMERICAN GOLDFINCH, SAVANNAH SPARROW, ORANGE-CROWNED WARBLER, NORTHERN PYGMY-OWL, GREAT HORNED OWL, WESTERN SCREECH-OWL, BLACK-LEGGED KITTIWAKE, MARBLED MURRELET, COMMON MURRE, COOPER’S HAWK, BRANDT’S CORMORANT, WHITE-WINGED SCOTER, CACKLING GOOSE, BRANT. Species not yet detected on the count over the three years, but expected include: Canvasback, Ruffed Grouse, Green Heron, White-tailed Kite, Black-bellied Plover, Greater Yellowlegs, Surfbird, Long-billed Dowitcher, Bonaparte’s Gull, Northern Saw-whet Owl, Cedar Waxwing, Brown-headed Cowbird, Evening Grosbeak, among others.